A delightful blend created to celebrate 30 years of Booker’s Bourbon, this limited edition promises to make taste buds rejoice. Thirty years ago, Booker’s Bourbon became more than just a suggestion by bartenders looking to share the first batch with the world. In celebration of three decades, the distillery recently announced its Booker’s Bourbon 30th-Anniversary Limited Edition. The limited edition is a delightful blend of nine year old and sixteen year old bourbon that promises to make taste buds rejoice, although your pockets might cringe at the higher than usual price. 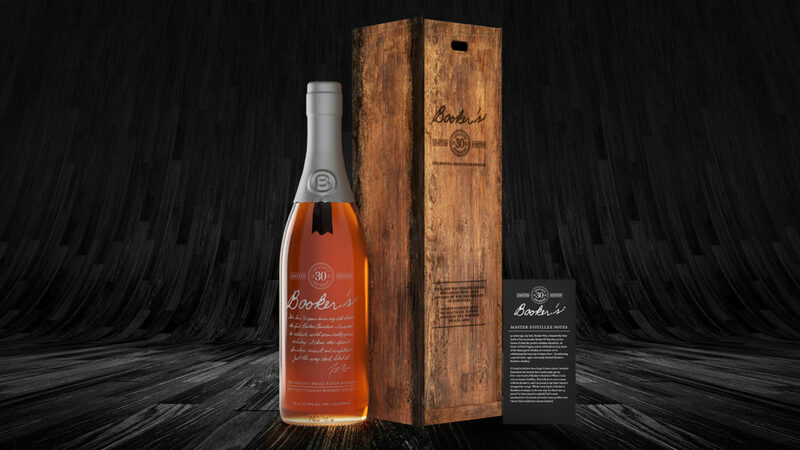 Since drinking a fine bourbon is about more than simply pouring a stiff drink neat or over a single perfectly squared rock, the Booker’s Bourbon 30th-Anniversary Limited Edition is packaged inside of a box made from reclaimed wood. Speaking of, like the limited edition bourbon, the wood isn’t any ordinary wood — it has been reclaimed from the company’s very own rackhouses in Clermont, Kentucky. In keeping with the distillery’s love of a great story, the Booker’s Bourbon 30th-Anniversary Limited Edition delivers all of the ingredients needed for making memories, sharing stories, and of course enjoying a fantastic beverage before, during, or after a holiday meal.